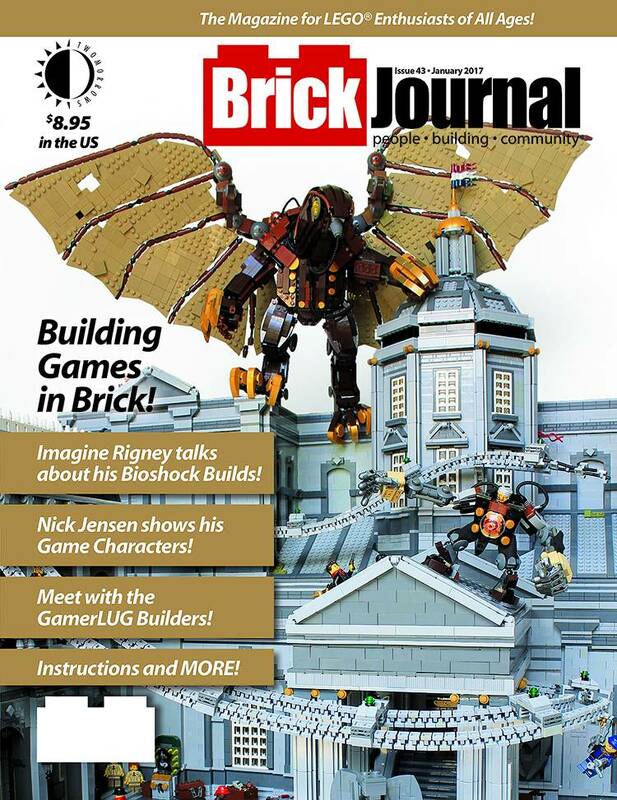 BrickJournal, the magazine for LEGO enthusiasts, goes to the place where video games and LEGO meet: the Gamers Zone! 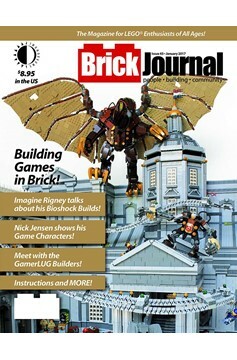 Builder Imagine Rigney shows his Bioshock builds, while Nick Jensen talks about his characters and props from HALO and other video games. Then, join GamerLUG member Simon Liu to see how other members of this group build LEGO versions of video game characters, spaceships and more! Plus: AFOLs ('Adult Fans of LEGO) by cartoonist Greg Hyland, step-by step You Can Build It instructions by Christopher Deck, BrickNerds DIY Fan Art, Minifigure Customization with Jared K. Burks, MINDSTORMS robotics lessons by Damien Kee, and more!.